With their decent early season start, the Knicks are in the thick of the Eastern Conference race. It also puts them one game ahead of the Cavaliers. While early season play had many hoping to usher in a new era in 2018, it appears that growth and progress may be more incremental. Whether it takes another year, or two, for the new-look Knicks to compete in earnest, the team can already claim victory over another opponent they’ve been battling for several years: New York Knicks tickets on the secondary. Two seasons ago, the Knicks made the unprecedented decision to cancel tickets for a large number of their season ticket holders. In an era when teams are scrambling to figure out new ways to get butts into seats, it was a big and controversial move. It also coincided with a handful of MSG executives getting fired for reselling tickets on the secondary ticket market, and pocketing the profits. Amidst all the change, it was clear that the Garden’s reliance on the secondary market had gone unchecked for far too long. 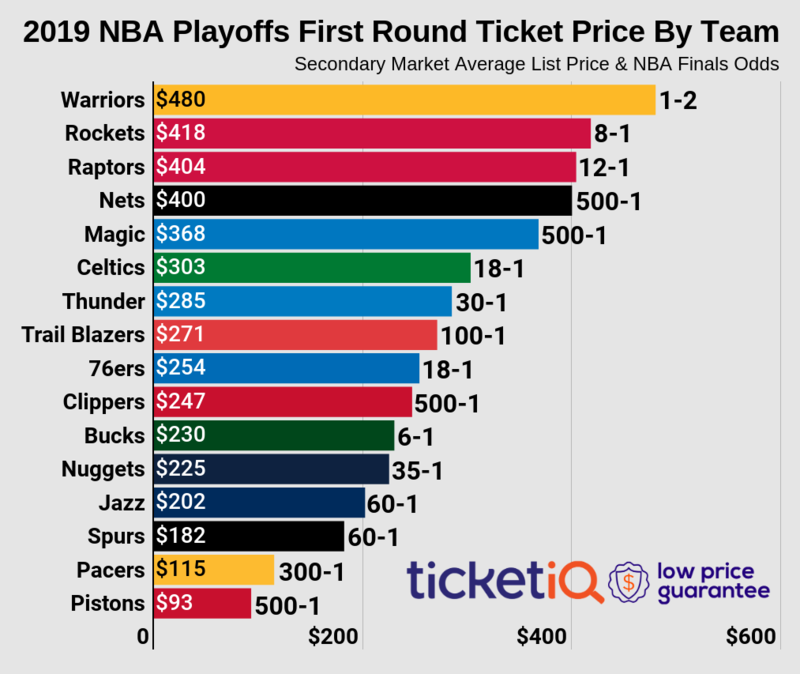 Now in the second year of their new their primary-first sales model, the quantity of tickets available on the secondary market has dropped by 80%, as the data below shows. 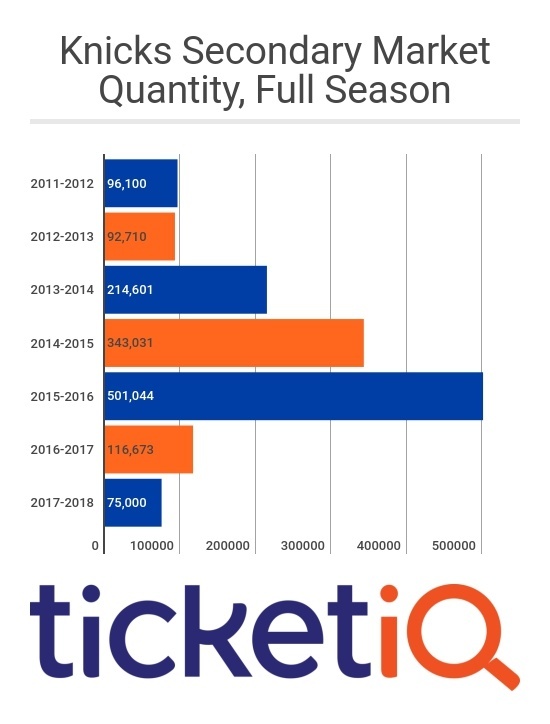 Despite the drop in secondary market inventory last season, the Knicks still found a way to sell 100% of their 800,000 tickets for season, according to ESPN data. That reality has profound implications for the future of the ticket market as we know it. At the simplest level, it means that the Knicks no longer need the secondary market. The extent to which the choose to use it is something that will evolve in the years to come. For fans who just want to get to a game, whether it the game versus the Cavaliers or a weekday matchup against the Jazz, it’s important to understand how the new landscape impacts you. Last night, a pair of tickets in mid court-section 211 was going for $185 on Ticketmaster. The same ticket on Stubhub was being sold for twice as much…before fees. A similar dynamic exists for Wednesday’s Jazz game on various secondary market sites, including TicketIQ's Knicks page. Over the last decade, any Lebron James’ visit to the World’s Most Famous Arena was an event. As the below shows, last night's game was the second cheapest ticket for a James visit in the last three years, on the secondary market. While it's still amongst the most expensive games this season, the most interesting data point may be that day-of the game tickets were roughly 25% cheaper on Ticketmaster.com the team’s primary selling platform...and not sold out. In many ways, the ticket business was built around offloading risk and letting others do the selling, and that’s not likely to change anytime soon. For MSG, the size of the Knicks market, along with their large portfolio of ticketed events, makes the Knicks more of an exception than a rule. For the majority of teams, the secondary market remains a primary channel. That fact was never more clear than in the recently-finished World Series, where over 15,000 tickets were available on the secondary market for each game at Dodgers stadium. For the Knicks tickets, the 2017 secondary market still has a place, and for Wednesday night’s Jazz game, it's in the cheap seats. The ‘get-in’ price on the secondary market is $43, which is $9 less than the best price on Ticketmaster. 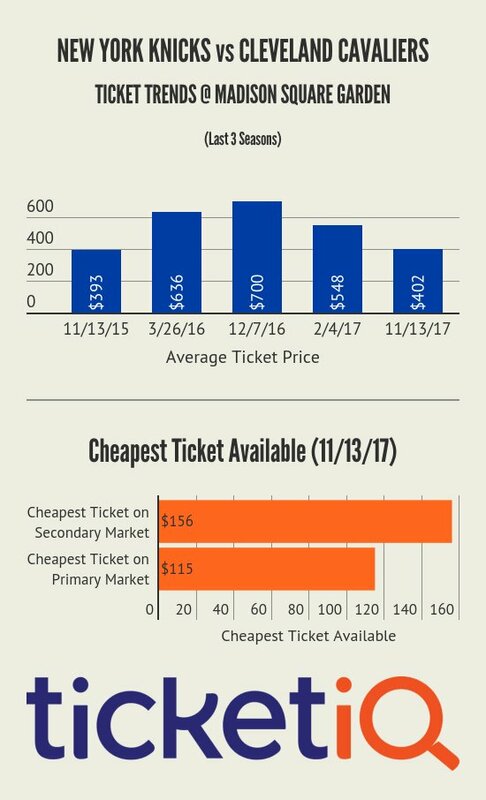 It doesn’t take an economist to know that the Knicks would rather sell a $185 ticket than a $43 ticket, and based on the current market dynamic, they seem to be content with that arrangement. It also means that if there is money to be made selling Knicks by anyone other than the Knicks, the juice may not be worth the squeeze. This all comes on the backs of the NFL's recently-announced deal with Ticketmaster to create an ‘open’ distribution platform that allows leagues and teams to decide who they do business with. Stubhub was likely the biggest beneficiary of that deal, as it broke Ticketmaster’s monopoly on official ‘secondary’ for the league. While the world of official ticketing partnerships used to come with bags of money and exclusivity, starting next NFL season, teams will have many ‘official’ distribution partners. If the NBA follows the NFL’s lead for the 2018-’19 season, Stubhub will likely be one of those partners. Unlike years past, though, the terms of any deal will be based on what the team is willing to give up, not what he market can take.